Arms recovered from Boko Haram terrorists. 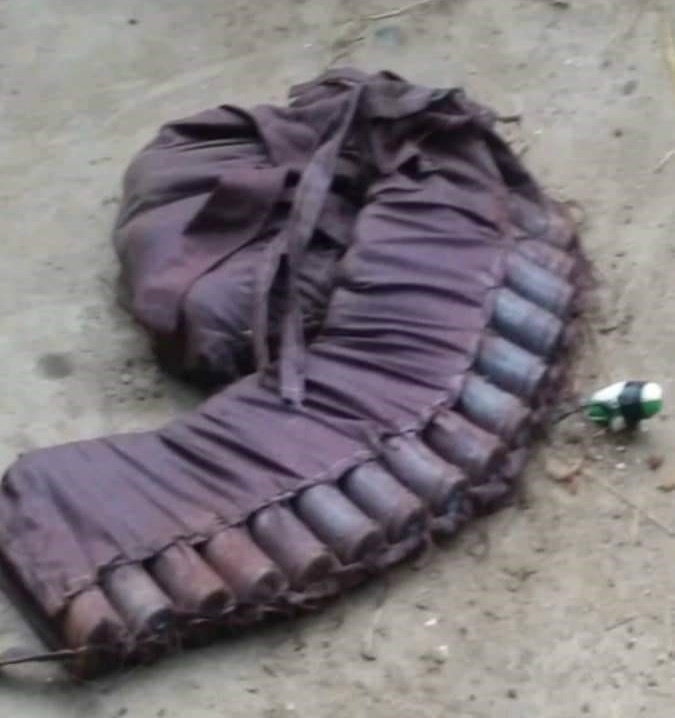 Troops of the Nigerian Army killed five members of the Boko Haram terrorist group and also recovered ammunition in the counter-insurgency operation in the northeast. The Nigerian Army says it killed five Boko Haram insurgents in separate operations in Bama Local Government Areas (LGA) of Borno. In a statement, the spokesman for the Nigerian Army, Brigadier General Texas Chukwu, said the insurgents were eliminated in Kote and Bula Dadobe communities in the LGA. Chukwu explained that a joint operation, entitled “Operation RAINBOW 15” which was conducted between Saturday September 15 and Sunday September 16, came on the heels of the discovery of makeshift bases, established by the terrorists in Yabiri Kote and Bula Dadode. Members of the terrorist group have launched attacks on villages in Cameroon and Nigeria from that location. He added that items recovered from the terrorists included 3 AK 47 rifles, two Improvised Explosive Device (IED) Shells, one primed Improvised Explosive Device (IED) Belt, two motorcycles, eight bicycles, flag as well as IED vest. “Members of the general public are advised to report any suspicious movement or activities to law enforcement agents for prompt action,” he said. This came at a period the terrorists released a recorded material of their killing of an aid worker abducted some six months ago in Borno area.